Oct. 5, 2017 9:15 p.m. Hosted by the Welcoming and Inclusive Communities Network (WIC), candidates running for City council had the opportunity to participate in a forum on diversity and inclusion. The forum saw 25 candidates weigh in on how they see that topic fitting into a council role. The forum, which was held Thursday night at Festival Hall, focused on areas identified in WIC’s 2016 Needs Assessment survey, with all questions and topics coming out of that document. There were five questions asked with each candidate allotted a 90 second response. The first question asked candidates to choose one of the three priority areas focused in the survey of Indigenous peoples, people with complex needs and the lack of capacity to address discrimination. Candidates were asked to choose one and describe what action they would take on council to address it. Candidate Dianne Wyntjes chose to address the lack of capacity to address discrimination. “It’s important for me that we make our circle larger. It’s not just about the WIC Network, it’s about employers, employees, agencies such as the Chamber of Commerce, church organizations, schools and not only City leadership in terms of how we address it to share our capacity and resources,” she said. Candidate Jim Kristinson chose the priority of Indigenous peoples. He said he feels they aren’t doing enough as a community to encourage the Indigenous people to educate themselves. “We need to be more open to helping the Indigenous people to get employment in our City. I feel that they’re being excluded, they’re being discriminated against and that needs to stop and as a City councillor I want to really strive towards doing that and including them more into our society,” he said. The second question asked candidates to offer an example of action they have taken or a decision they made to support diversity and inclusion at their place of work. Candidate Rob Friss said as a University of Victoria graduate, they were very good there at inclusion and diversity. “As a university student we were brought up with it, it was expected, it was just a natural thing,” he said. Not too long ago, Friss said he was asked to participate with Red Deer College in a program that promoted practical work experience to those with developmental disabilities. “I hired a young lady who helped me operate my store in ways that she would most likely experience with future full-time employment,” he said, adding that his intentions were to give her self confidence and feelings of empowerment. He said as a City councillor he would offer forums and committees where he could share his personal stories of success and encourage other business owners to do so as well. Candidate Buck Buchanan shared some of his own background to relate to the question. He said he was once an alcoholic and spent 29 years with the RCMP, but when he was looking for help within the RCMP, they didn’t know what to do with him, and he was eventually sent to B.C. “As a member of the RCMP and trying to sober up in 1980 I was an outcast and trying to learn how to deal with this inclusion and diversity, so a little more in tune with alcoholism and mental health, but diversity and inclusion is very important,” he said. Buchanan was a referral agent in the member assistance program with the RCMP, which took him to four different provinces as a result. The third question had candidates share what they’ve learned about diversity and inclusion in the last three years and how they would use that knowledge to guide decisions on council and effect positive change in the community. “During my four years on City council I have learned just how diverse our City really is. We are all different and come from various backgrounds and we have different beliefs. Diversity and inclusion means that even though we may have different beliefs and ideas, we commit to always treating one another with dignity and respect. That is what I have learned,” said Candidate Tanya Handley. She said she believes a true reflection of character is how we treat others when their beliefs and life experience are different from ours. “Kindness should not depend on ideology, gender, gender identity, sexual orientation, ability, race, religion or culture, etc. Kindness is how we can truly celebrate our diversity and include everyone,” she said. Candidate Michael Dawe said he won the lottery of life in one major respect, raised by two people who were tolerant understanding and non-judgmental. “My parents were both school teachers, which meant I thought normal dinner conversation was having my grammar corrected, but I also learned that you never stop learning. There’s always more that you can find out,” he said. 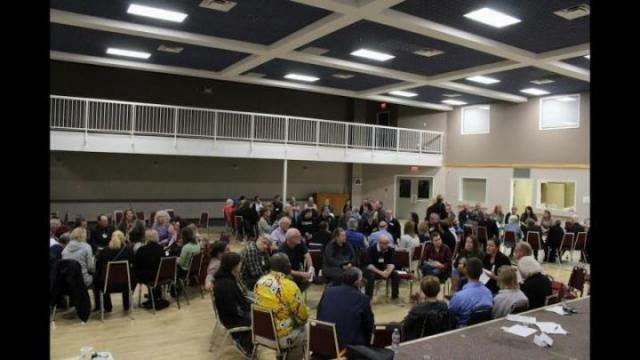 The other questions had to do with the United Nations Declaration on the right of Indigenous people and calls to action from the Truth and Reconciliation Commission as well as the City of Red Deer’s commitment as a signatory to the Canadian Coalition of Municipalities Against Racism. Other council candidates running in the election include Jason Habuza, Cory Kingsfield, Rick More, Frank Wong, Matt Chapin, Vesna Higham, Sam Bergeron, Brice Unland, Calvin Goulet-Jones, Jordy Smith, Ian Miller, Kris Maciborsky, Ted Johnson, Ken Johnston, Jonathan Wieler, Doug Manderville, Bobbi McCoy, Valdene Callin, Jeremy Moore, Lawrence Lee, Matt Slubik, Bayo Nshombo Bayongwa and Lynne Mulder. Mayoral candidates include Tara Veer and Sean Burke.